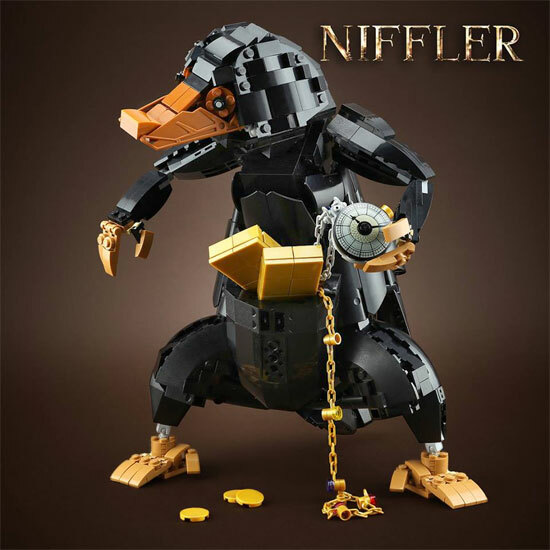 If you have watched The "Fantastic Beasts and Where to Find Them" movie related to Harry Potter's world, one of the magicial creature that have some lasting impression would be one of the creature that ran away to steal or get some glittering Gold. 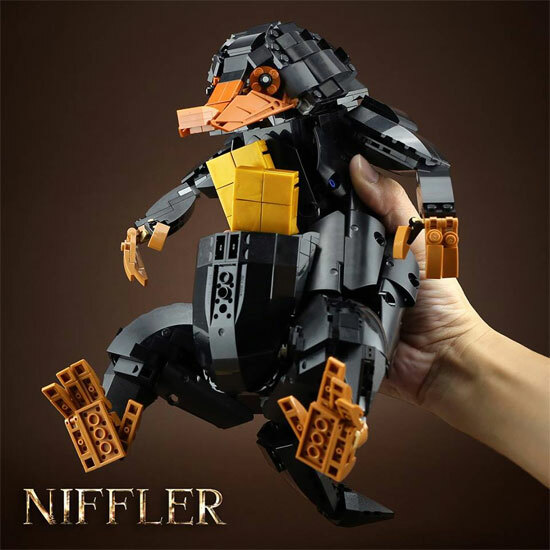 Nifflers which look like a platypus in real life. However this creature unlike Platypus had a very big pouch on their bellies. They use that not to store food but any object that are sparkly. 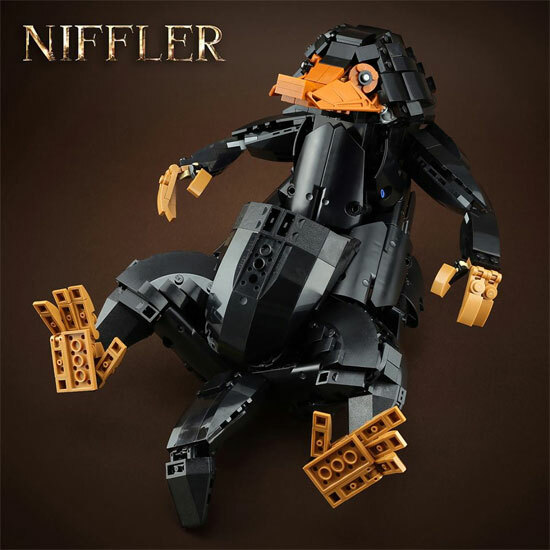 This Niffler can stand well by itself with parts that himself. LEGO7 even built box for him to lay down. The scale of this built is close to 1:1 of the magical creature! 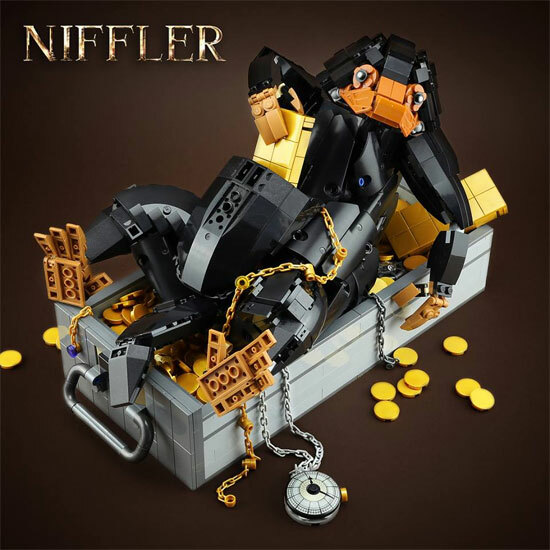 LEGO7 with his know-how bring this magical creature to life.